Democratic Senator Claire McCaskill, in a bid to demonize Jeff Sessions as a Russian agent, said back in March she had never met nor spoke on the phone with a Russian ambassador "ever." CNN has learned, McCaskill spent an evening at a black-tie reception at the ambassador's Washington residence in November 2015. 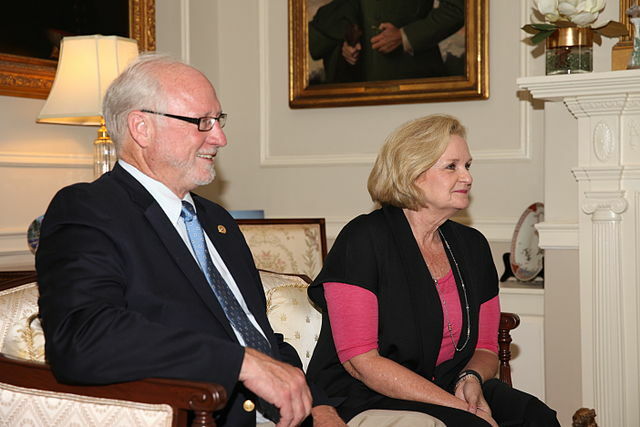 In an interview, McCaskill acknowledged attending the dinner, but she said she only did so because of her long-standing relationship with Symington, whom she said "kind of got me started in politics." She claimed the 140-character limit on Twitter did not let her clarify that she never met "one-on-one" with the Russian ambassador, and added she "did not" speak with Kislyak at the reception. I guess this is full-on proof she's a Russian agent. We need a special prosecutor to dig through all her finances ASAP.